74% of the young people in custody in Queensland Youth Detention Centres in 2006 were on remand - the outcome of a dramatic upward trend over recent years. Detaining unconvicted children or young people not charged with a serious violent offence, is unjust and in contravention of Queensland’s human rights obligations. The frequent detention of young people charged with bail violation or offences which would not normally result in a custodial sentence, is of particular concern. The most recent available estimate of the cost of keeping a young person in detention was $567 per day (NSW, 2005). This suggests that it cost in the vicinity of $57,000 to keep the 101 young people on remand in Queensland Youth Detention Centres on 30 June 2006, for a single day. It further suggests that it costs over $20 million annually, to keep unconvicted 10 - 16 year olds on remand in Queensland. All the evidence indicates that preventative and early intervention strategies could be expected to save tax dollars and to enhance public safety - in both the short and long term. The alternatives outlined in this paper are, at worst, cost neutral. Estimates of the cost of diversionary options have ranged from $10 per day for a youth justice conference, to $35 per day for community-based supervision, to $106 per day for a brokerage program, to $278 per day for a community placement program. Current policies and practices are unnecessarily punitive and wasteful. The Queensland Government has acknowledged that remand in custody may have negative consequences for a young person. It asserts that a decision to hold a young person on remand balances the presumption of innocence with community safety. This paper provides clear evidence that this balance is not being achieved, and that the current trend toward detaining more and more young people on remand actually places both the community and young people at greater risk. 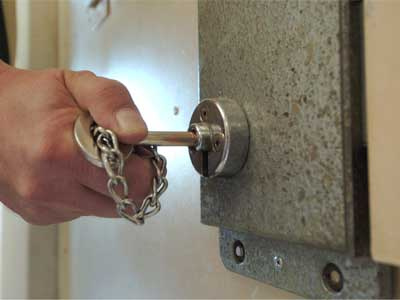 It proposes concrete strategies which would enable Queensland to reorient its juvenile justice policies to reduce the overuse of detention amongst young people on remand... and make considerable cost savings. Coalition Against Inappropriate Remand (CAIR) is a coalition of community-based youth, legal, educational and social justice organisations working together to abolish inappropriate remand in custody of young people in Queensland.